Pokemon Go players should grab their phones and gear up for some hunting, as they're being treated to another special event this week that's based around rock-type Pokemon. The event is called "Adventure Week," and it's designed to encouraged players to venture out into the wild in search of classic rock-type Pokemon like Omanyte, Aerodactlyl, and Kabuto. The week-long event formally kicks off this Thursday, May 18 at 1 p.m. PT and runs through May 25 at 1 p.m. PT. For the duration of the event, players will see increased spawn rates for the aforementioned Pokemon as well as the likes of Sudowoodo and Onix. In addition, PokeStops will be providing more than their usual amount of items, PokeBalls will be 50% off in the store, and buddy Pokemon won't have to travel as far as usual in order to collect candy. Lastly, players who log in to the game throughout Niantic's Adventure Week event will be given the Adventurer's Hat, a special item with which they can remember all of their fun times spent adventuring. The Adventure Week event follows closely on the heels of last week's Grass-type event, which saw players seeking out Pokemon like Hoppip and Bellsprout. 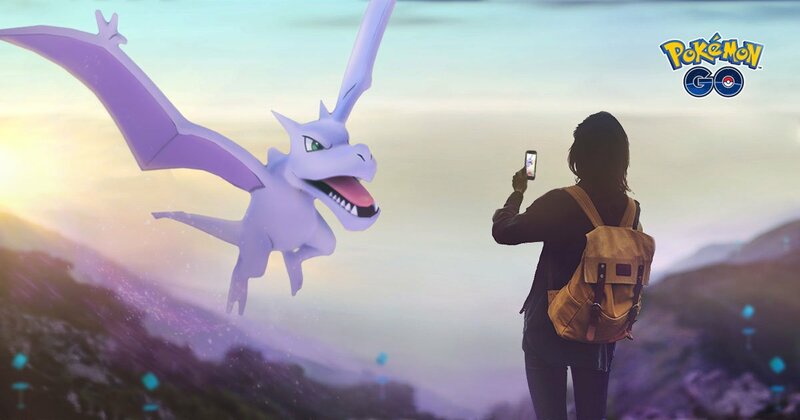 As summer continues to unfold, players can likely expect more seasonal-type events from Niantic -- as well as an upcoming gym overhaul. Looking for more handy Pokemon Go guides? We've got detailed writeups on how to use incense and lures as well as how to make the most out of evolutions using a CP calculator. We've also got details on eggs, hatching, and breeding in Pokemon Go as well as a crucial strengths and weaknesses Type chart.